For a free quote on sealing and insulating your crawl space, contact us today! We serve Superior, Duluth, Minneapolis and many nearby areas in Minnesota and Wisconsin. At DBS we have what you need to encapsulate your crawl space and upgrade its energy efficiency. Our warrantied products can keep water and moisture out of your home while making your home more energy efficient than ever! 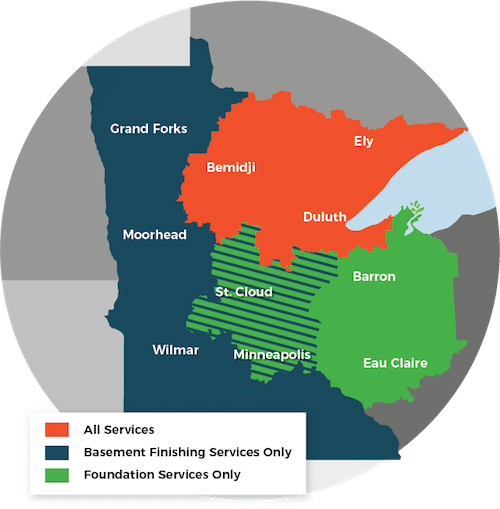 We proudly serve Duluth, Superior, Minneapolis, and many other parts of Minnesota and Wisconsin.